Ok, I am in LOVE with Sally Hansen’s latest polish product, the Sally Hansen® Miracle Gel™. I hosted a pajama style pamper party for me and a few of my girlfriends here in New York and we had a blast testing out the new shades! The Sally Hansen® Miracle Gel™ seriously elevates the at-home nail experience and provides salon quality finish without the use of UV light! The process is super simple. Just two steps! Paint on the color, then paint on the topcoat. The color features a built-in base coat, so you can skip a step. The smooth, high-shine finish from the activating top coat looks like I got a gel mani at the salon. This lacquer duo is the perfect pair. Genius. For the party, we went full-on girl mode. We watched guilty pleasure TV like Pretty Little Liars (don’t hate!) and snacked on bite size treats while we painted each other’s nails with this breakthrough nail polish. I selected Perplexed, a deep metallic purple, for my mani, but the revolutionary two-step system is available in 45 shades! There truly is a shade for everyone. If you would like to try these out, you’re in luck! 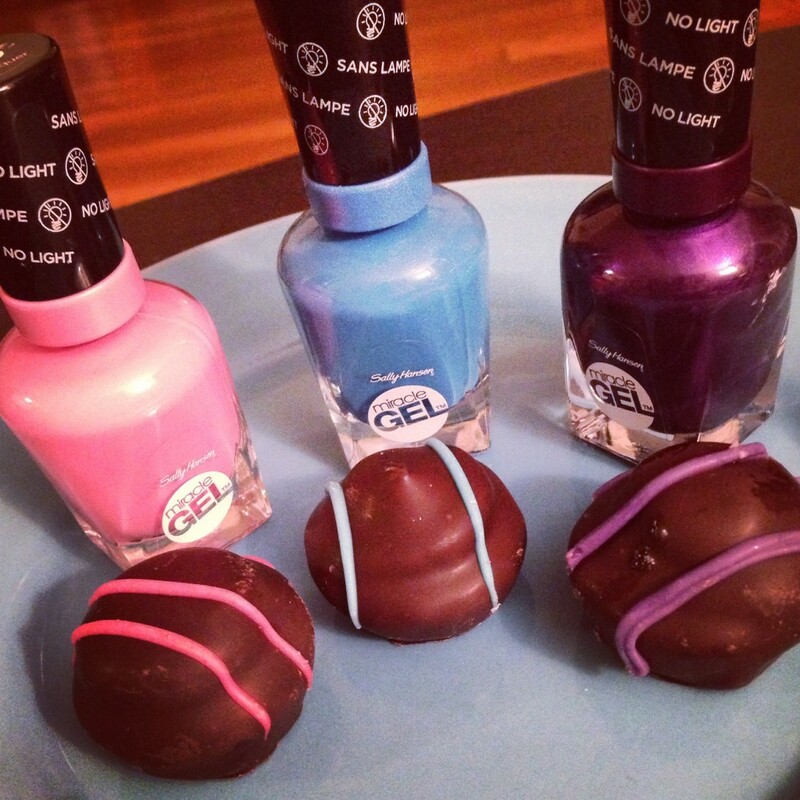 Sally Hansen is hosting an awesome Instagram contest! Just upload a photo to Insta showing off your manicure, paired with your favorite outfit or accessories. Use hashtags #PerfectPairSweeps and #MiracleMani to win the top ten Sally Hansen® Miracle Gel™ shades! The contest is live now and will run through October 22nd. Do it!